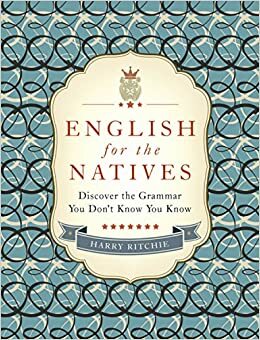 Harry Ritchie, in English Grammar for the Natives (2013), writes that hopefully is “by far the most controversial adverbs of recent times” (p. 191). Usage of the adverb, he says, “has been met with fierce resistance”, and he quotes from Kingsley Amis’s usage guide, which reads that “when someone says or writes, ‘Hopefully, the plan will be in operation by the end of the year,’ we know immediately that we are dealing with a dimwit at best” (1998: 158). Ritchie says that there are signs “that the resistance is nearly over”. Perhaps it is, but we can’t test it with the help of our regular usage surveys because the feature is not included in the study by Mittins et al. (perhaps because it wasn’t as yet as widespread as the others they deal with). So here is a separate usage poll, on hopefully only: please tell us what you think. This entry was posted in polls and surveys, usage features. Bookmark the permalink. 3 Responses to Hopefully over? Word 2013 still flags the use of hopefully as a sentence modifier, but only when the word begins the sentence. For instance, it objects to “Hopefully, I will finish my article this afternoon.”, but not to “I will finish my article this afternoon, hopefully.” The software’s suggested improvement to the first sentence would be “I hope that I will finish my article this afternoon.”, to which it would then object because of the use of the first person pronoun in technical or formal writing. Hopefully isn’t analogous to curiously (= it is a curious fact that), fortunately (=it is a fortunate thing that), and sadly (= it is a sad fact that). How so? Unlike all those other sentence adverbs, hopefully can’t be resolved into any longer expression involving a corresponding adjective (hopeful) — but only the verb hope (e.g. it is to be hoped that or I hope that). There are at least three problems with this. First, and most nitpickingly, he’s wrong when he says, “hopefully can’t be resolved into any longer expression involving a corresponding adjective (hopeful)”. It can be “resolved” into I am hopeful that…. Second, what is this nonsense about adverbs being “resolved” into longer expressions? It sounds like a bastardized form of Chomskyan transformational grammar, in which his goal is to find the deep structure of adverbs, and the deep structure that he finds is totally made up. What Garner is really doing is coming up with rough paraphrases (very rough) of the adverbs, and his use of the word resolved is essentially linguababble. Finally, what difference does it make whether hopefully can be “resolved into [a] longer expression” that includes hopeful? None. There is no reason to care about Garner’s made-up (and inaccurate) distinction.